We watched the India-Sri Lanka T20 Final huddled up before a 13 inch laptop. Opened cans of beer, made popcorn and fought for a place on the couch. That evening, every one of us stayed glued to the game, indifferent to exam schedules, limited seating and the glitchy wifi. We watched anxiously, over after over, the pin drop silence before the bowler released the ball contrasted starkly by the raw, uninhibited cheers and curses moments after. Cricket. It runs in our veins. We’ve grown up watching our fathers cancel their evening plans for it, with boys who’ve shed tears to own that sky blue jersey, and seen posters of Virat Kohli make their ways to the bedroom walls of teenage girls. Cricket even found a way to seep into our classrooms. Every child in India has silently played hand cricket under the table during classes. And at some point in our lives, math textbooks have transformed to bats and yesterday’s notes to paper balls. We’ve grown up using bricks for wickets, parapet walls to mark fours and window panes to mark sixes. Punches were thrown over picking teams, who got to bat first and whether the umpire was unbiased. 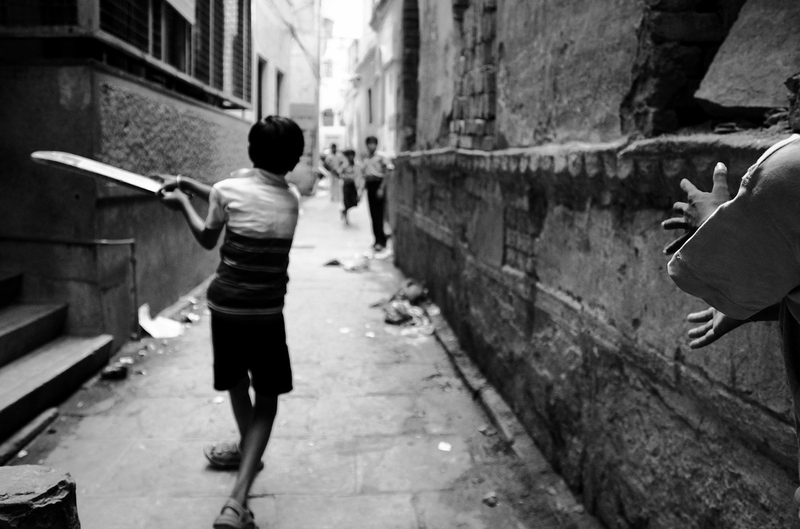 In India, every few residential blocks boasts a personal cricket stadium. Over the years, we’ve developed a natural, almost intuitive attachment with our team. Every household in India knows them on a first name basis. Dravid is a gentleman, Shreeshant is a drama queen, Sachin is god are conversations that most of us have had at the dinner table. We’ve even made their stories our own. We’ve wondered who Virat is dating, passionately debated Shreeshant’s innocence in the match fixing scandal, we’ve prayed hard for Yuvraj’s recovery. Over the years, our team has not only inspired young boys to play cricket, but also drink boost, use a condom, shave regularly and eat boiled eggs. Sunday’s match reminded me how intuitive our passion for cricket is. That nothing else could have gotten so many students to spend their evening straining their eyes to watch a match during the busiest time of the semester. That all it takes is a T20 Final, a World Cup or an Indo-Pak match to have a thousand Indians drop their thousand agendas. That we almost feel a strange sense of responsibility towards watching it. That nothing else could spark fierce, raw patriotism the way cricket does. That at the end of every match, irrespective of the outcome, a country of over a billion people just got a little closer. Last Sunday, we stopped watching before the last over. We knew it was a lost battle. No point, someone said, closing the laptop. We dispersed silently, thinking accusingly of the team, the wickets we didn’t take and the boundaries we didn’t score. I realise that India is easily let down. One bad game and she throws a fit of rage. She sparks a wave of blog posts, Facebook statuses and fiery conversations on the team’s lack of practise, the batting order, who should be dropped and who should retire. It makes me realise that India is simply a pushy, concerned, loud mother. The kind that will shed tears on your smallest failures, scold you with fiery passion and bombard you with criticism and advice. The kind that will seem most unforgiving, until you realise that a reaction so passionate could only stem from the deepest kind of devotion. That cricket is a son, a lover, and a hero to a country of a billion people. That dropped catches and fallen wickets are quick to be forgotten. That India’s memories and conversations are rich with the times that made her heart stop. The Six Sixes. The 100th Hundred. The shiny golden trophies that each and every one of us call our own. That at the end of the day, when it’s about cricket, all she really knows is pure, unadulterated love, nostalgia and pride. In India, some things will never change. Kids will continue to break windows, men will continue to debate the ideal batting order and the sky blue jersey will continue to be a coveted part of every Indian boy’s wardrobe. The lines to get into the stadium will continue to stretch to the end of the road, children will continue to adjust the antenna on their TV to catch the neighbours signal during the match and fathers will patiently explain what a maiden over is to their 5 year olds. Those away from home will continue to huddle up around a laptop for a final. In India, only when it’s about cricket, will over a billion hearts race, stop and sink in perfect synchrony. What to say…Krshna,you have captured the essence of what cricket is to India…the most powerful unifying factor in the country.What you have so beautifully culled out is the analogy of the devoted,passionate Mother India that turns hysterical when India wins and sulks with a barrage of blame when It loses! Well said! Over the years, other forms of sports have also started getting better attention, though not in the same league as cricket. I feel very personally about cricket. You have captured exactly how I felt about watching cricket after 2 years 🙂 Can’t believe it’s been so long, but it feels the same every time 😀 I didn’t even feel that bad because India lost, but just the feeling of watching cricket made me so happy 🙂 I sat in front of my laptop watching the entire match till the end, and I remember when I was 9 and my grandfather told me about the rules of cricket during the IPL while having our dessert before bed :D. I miss those days in India :D. Great post!!! A week ago I sat in the library of the Nahargarh Hotel in Rathnambhore in the company of several young Indians who were avidly watching the cricket final on television. I however was absorbed in my laptop following the fortunes of my football team in the final of the Ramsdens Challenge Cup at home in Scotland. In spite of all our cultural differences, and of our love of two different sports, we found that we were able to emphasise with each other and understand each others pain when our respective teams were so cruelly defeated. At the time, it felt that nothing could ever make us feel optimistic again, but after a couple of Kingfisher beers, the world began to take on a rosy hue once more, and we started looking forward to future matches which we were totally convinced we would win. Thank you Krshna, for such an evocative post which showed me that sports fans are really the same the whole world over. Love the backstreet cricket photo! India becomes a secular country only during cricket matches. Scratch that. India becomes one religion alone only during a cricket match. The religion under question is that of cricket! Me too. I really feel our national sport called Hockey is neglected to the best. I cannot describe the amount of respect I have for Tendulkar and Ganguly who has set out to popularize and better Indian Soccer scenario. Hey Krshna, Great article again. Tell me krishna you doesn’t look too old,but this is some fantastic writing.Anybody can write about cricket but this post surely made my heart dance.go ahead you could be a great blogger.